His hockey resume and list of honours is anything but humble. 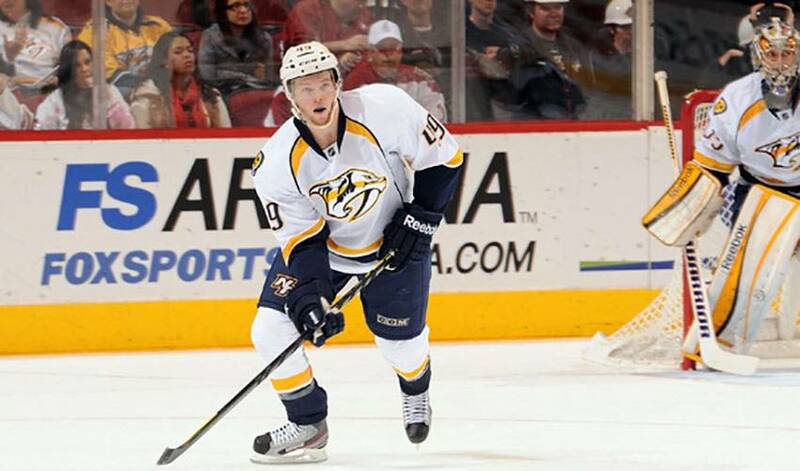 Ryan Ellis, Nashville's rising young star on defence, however, most certainly is. He has four gold medals while wearing the Team Canada jersey, two Memorial Cups with the Windsor Spitfires of the Ontario Hockey League (OHL), top OHL defenceman honours in 2009 and 2011 and the OHL's most outstanding player award in 2011. Ellis was also named the Canadian Hockey League's Top Defenceman and Player of the Year in 2011. Still, it's only a fraction of what the 11th overall selection of the Predators in 2009 has accomplished prior to his NHL career. With Ellis, Nashville gets a smooth-skating blueliner with plenty of offensive upside and a veteran savvy. The 21-year-old also has one of the game's top rearguards to learn from, in the form of Shea Weber, Nashville's captain, a respected leader who happens to possess one of the league's hardest shots. Ellis, who netted his 300th career OHL point on February 25, 2011 to become only the third defenceman in OHL history to reach the mark, following Denis Potvin (330 points, 1968–73) and Rick Corriveau (329 points, 1987–92), is getting his first taste of NHL action this season, including his first big-league tally. On January 7, Ellis, who was the game's third star, notched his milestone marker courtesy of a slapshot from the top of the right circle at the 14:28 mark of the third period in a 5-2 Nashville win over Carolina. It was, by his standards, a trademark goal. The Predators brass likely doesn't care how Ellis lights the lamp. They're just happy to see the up-and-coming star contributing to a Central Division club eager to make some noise in the upcoming Stanley Cup playoffs. It's obvious the Predators were thrilled with their decision to bring Ellis into the fold. While he's less than 50 games into his NHL tenure, the former Windsor captain is showing he's more than capable of contributing both on offence and defence. Ellis, who was once tabbed in a poll of OHL coaches as the Western Conference's Smartest Player, top Offensive Defenseman, and the player with the hardest shot, is eager to do whatever he can to see Nashville hang a Stanley Cup banner from the rafters.